Figure 1 - 60/40 open position. 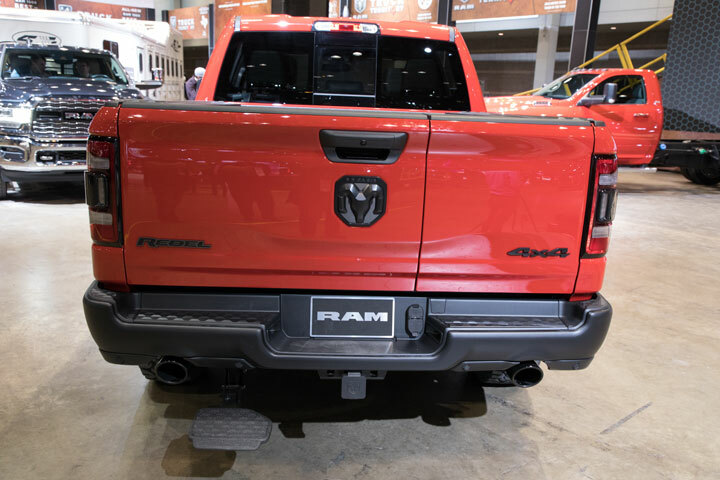 This year at the Chicago Auto Show, RAM unveiled their new 60-40 split multifunction tailgate. This tailgate offers the functionality of a standard tailgate, as well as a split that allows the tailgate to open like French doors. 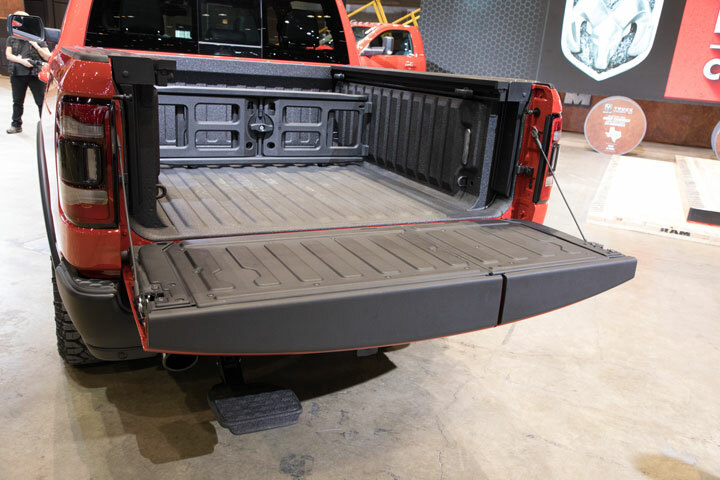 This innovative tailgate is available for all 2019 RAM 1500 variants and is assured that it is still trailer-friendly. By grabbing the tailgate handle and pulling, the tailgate will drop as would a traditional tailgate. Figure 2 - Traditional open position. However, if you place your hand in the tailgate handle opening and push down, the tailgate will swing open instead. After the left side is opened, the inner handle in the jamb of the right door can be accessed. When closing, the right side must be fully closed before attempting to close the left. Failure to fully close will result in the tailgate not being able to open down, like a traditional tailgate. It is important to note that the truck box assembly is different Figure 3 - Closed position. if the vehicle is equipped with the multifunction tailgate. So, it will be important to order the correct parts and inspect them when repairing collision damage.